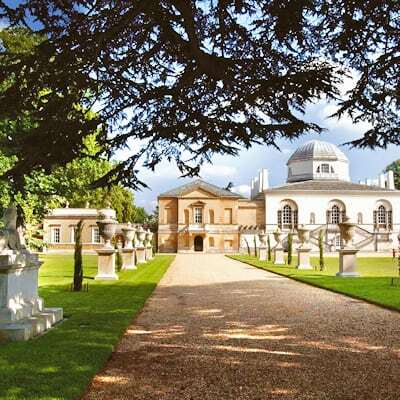 Chiswick House is one of the earliest examples of neo-Palladian design in England and the gardens at Chiswick are the birthplace of the English Landscape Movement. Richard Boyle, third Earl of Burlington designed and built Chiswick House from 1725 -1729. The villa was inspired by the architecture and gardens of ancient Rome. The sumptuous interiors and key items of furniture were designed by William Kent, there is also a rich collection of Old Master Paintings. The 65 acres of Grade I listed gardens have been loved for centuries, with their combination of grand vistas, architectural delights, water features and wilderness areas. Highlights include the stunning Conservatory, home to the oldest collection of camellias in Britain. Explore this magnificent collection and stroll in the 19th century Italian Garden designed for the sixth Duke of Devonshire. The 2019 Camellia Show opens 1st March - 31st March. Entry is free and donations are welcome (closed Fridays). To enhance your visit Camellia and garden tours are available to pre-book and there is a programme of garden events throughout the year. Opening Times: Gardens open daily from 7am - dusk. The House and Shop are open Mon & Wed 11am – 3pm and Sat & Sun 11am – 4pm. April-November, closed Tuesdays. (Open weekends only during the Camellia Show) Please check the website for other occasional closures. Walled Kitchen Garden open Tuesday and Thursday 1.30pm-3.30pm, with special open days throughout summer. Admission Rates: Gardens entry is free; donations welcome. Visiting the House is £7.50 adult, £5.00 concession for students and senior citizens. Free for all children under 18 and free for English Heritage and Art Fund members. Prices and times correct at time of press. Facilities: There is a children’s play area and a modern cafe open from 8.30am all year round that offers a light airy space to enjoy a seasonal menu and refreshments. Location: Burlington Lane, London W4 2RP. Tube: Turnham Green (20 mins walk) or E3 bus to 'Chiswick House' stop.